Sometimes tips are so obvious that when you hear them, they’re able to immediately impact your business and wallet. 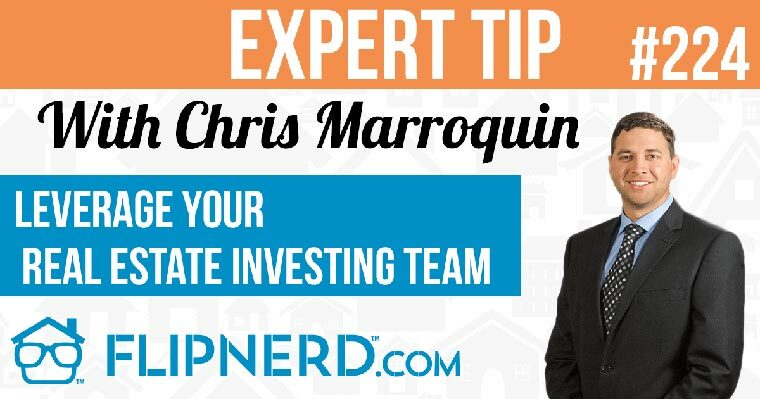 Check out this simple, yet powerful tip on Rental Property Repairs from Sam Maropis of TrainingLandlords.com, on this FlipNerd.com Flip Tip. Mike: Hey, its Mike Hambright from flipnerd.com and today we have a quick V.I.P. flip tip to share with you from Sam Maropis who is going to share a tip on the rental property 5% repair rule. Sam: Mike, thank you very much. It’s a very simple rule. If you look at the property and there is a piece of broken glass, there’s some graffiti on the wall, the trash can dumpster has graffiti, do the 5% low-hanging fruit stuff right away. Don’t let your residents see those kinds of things. They’ll be much more forgiving, I know it’s hard to believe if there’s an air conditioner problem, if you got some major problem… get those simple little things done so people feel comfortable in their home and they’ll put up with the bigger problems. That’s my quick advice. Mike: Thank you for joining us for another Flipnerd V.I.P. tip.